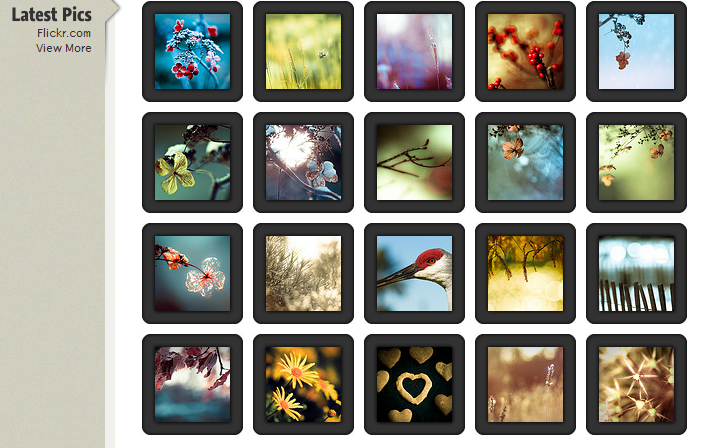 February 5th in Premium Themes by Wordpress Jedi . I don’t know about you, but I have hundreds of profiles online. It’s not just Facebook, LinkedIn, YouTube, and the top sites we are talking about. There are plenty of other smaller social networks that I am a part of and take time to participate in from time to time. Sometimes it’s too easy to get carried away with all these social networks and forget what you need to do to get the best out of them. Only by participating and sharing information you can gain traction on these sites. Of course, you want to keep your social media accounts organized and promote them as well. That’s what Social Life does. Social Life is a cool WordPress theme that lets you aggregate your online social media presences and integrate them all into one page. We are talking about your videos, Facebook, RSS feeds, Twitter feed, and much more. Of course, you don’t have to use all these services. If you are not active on Delicious or just don’t want to add your Vimeo videos to your personal page, you can easily turn them off. Once you have added your profiles to this theme, your information will automatically get added to your front-page. So whether you are a celebrity or an influential user who want to be as transparent as possible with your audience, Social Life is a great way to build a personal website for yourself. That’s actually how I am using my own [firstnamelastname.com] website. Since your front page information is going to be dynamic, you are going to have a good chance of ranking well as well. Best of all, your visitors can filter through your social media accounts and track your Delicious, Twitter, or video updates. Social Life is not too complex of a theme, but it is a great way to create yet another online presence for yourself or your business. If you are taking time to tweet or upload videos, why not share them with others on your very own website. 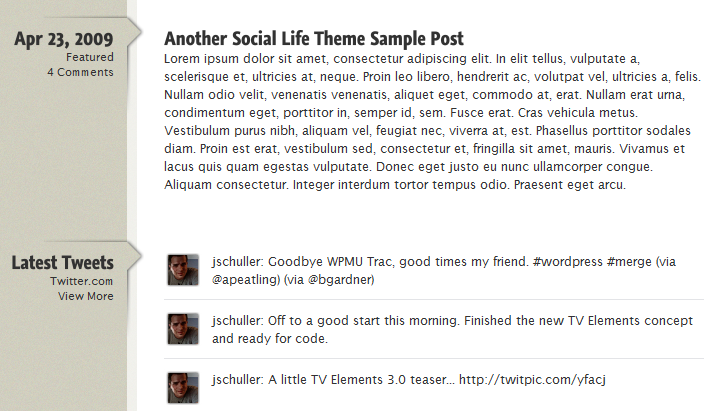 A very solid social media theme for WordPress.